❤ MATERIAL: Flower Appliqués, Soft Tulle, Silk Satin. 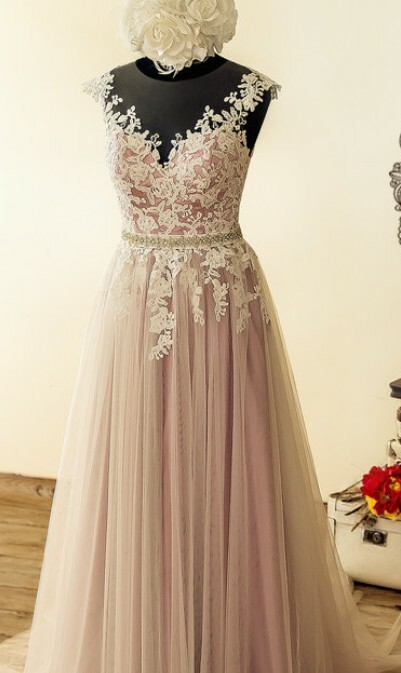 ❤ LENGTH: Floor length with Small Train. ❤ OTHER DETAILS: Dress has Bra cups (cup size suitable for B/C) and Boning, closure is Buttons with Zipper. ❤ SASH:Embellishment - about 14-15 inches. No flaws or alterations done. Once you send a message, Shahlo can invite you to purchase the dress.